The BP regional office for the San Juan Basin will be moving in October to the 1100 block of Main Avenue. 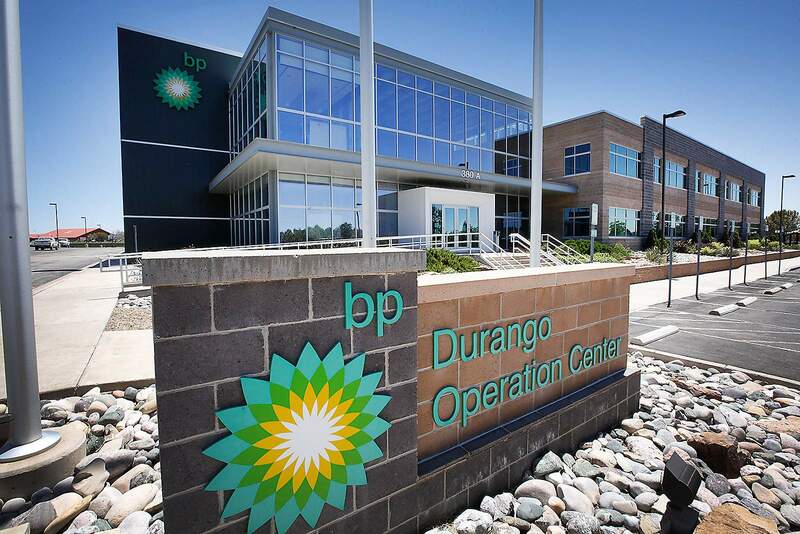 The BP regional office for the San Juan Basin will move in October from its building near the Durango-La Plata Airport to space leased in the Bank of Colorado building on Main Avenue. Up to 90 employees will move to downtown Durango from the 100,000-square-foot building and BP campus at 380 County Road 309. Burton said feedback he’s received from employees is that they are excited to be in a more central business location closer to Durango amenities, and many employees have said they will be able to walk or bike to work. Burton said the move will help attract and retain employees to work in the San Juan Basin and no layoffs were associated with the move. BP has 3,900 completed natural gas wells in the San Juan Basin, 1,400 in Colorado and 2,500 in New Mexico. BP signed a five-year lease for 15,000 square feet of office space in the Bank of Colorado building, but Burton did not disclose the monthly rent it will pay. BP is evaluating leasing or selling options for its existing campus and 100,000-square-foot building near the airport. Operations in the San Juan Basin have been the “incubator” for increasing use of technology used in well development, Burton said. New technology includes links from the field to offices to provide visual images for experts to help well workers and new goggles that can display videos for workers to watch on the goggles. “As we get smarter with our operations, we have less need for office space,” Burton said. In July 2017, BP announced it would close its Farmington office and layoff 40 employees. The remaining employees in Farmington were relocated to its Durango regional office at the airport. Those employees, too, will now be coming to downtown Durango. Two smaller field offices in San Juan County, New Mexico, remained open, though some field staff were shifted to working remotely. In August 2017, BP announced that a natural gas well in the Mancos formation of the San Juan Basin, 7 miles south of the Colorado border in New Mexico, averaged production of 12.9 million cubic feet of gas per day, the highest achieved by a well in the basin in 14 years. “Given the very strong initial production rates of this well, we believe there is potential for the Mancos shale to be a large gas play,” BP spokesman Brett Clanton said at the time. Western Slope hydrocarbon reserves are overwhelmingly natural gas, not oil. However, producers are struggling with depressed natural gas prices and competition from cheaper-to-exploit fields in Pennsylvania and Ohio. In November 2017, drilling activity in the San Juan Basin, which covers Southwest Colorado and northwestern New Mexico, came to a complete stop. Later this month, BP also plans to open its new regional headquarters for onshore oil and gas operations for all the lower 48 states in Denver.